 Chapter 126 - North Carolina Human Resources Act. Article 1 - State Human Resources System Established. § 126-1. Purpose of Chapter; application to local employees. § 126-1.1. Career State employee defined. § 126-1A: Repealed by Session Laws 1995, c. 141, s. 2. § 126-2. State Human Resources Commission. § 126-3. Office of State Human Resources established and responsibilities outlined; administration and supervision; appointment, compensation and tenure of Director. § 126-4. Powers and duties of State Human Resources Commission. § 126-4.1: Repealed by Session Laws 2011-398, s. 41, effective January 1, 2012, and applicable to contested cases commenced on or after that date. § 126-5. Employees subject to Chapter; exemptions. § 126-6: Repealed by Session Laws 1991, c. 65, s. 3. § 126-6.1: Repealed by Session Laws 1993, c. 397, s. 1. § 126-6.3. Temporary employment needs of Cabinet and Council of State agencies; use of the Temporary Solutions Program. Article 2 - Salaries, Promotions, and Leave of State Employees. § 126-7: Repealed. See editor's note. § 126-7.1. Posting requirement; State employees receive priority consideration; reduction-in-force; Work First hiring; reorganization through reduction. § 126-7.2: Repealed by Session Laws 2013-382, s. 6.2, effective August 21, 2013, and applicable to grievances filed on or after that date. § 126-7.3. Annual compensation surveys. § 126-8. Minimum leave granted State employees. § 126-8.1. Paid leave for certain athletic competition. § 126-8.2. Replacement of law-enforcement officer on final sick leave. § 126-8.3. Voluntary shared leave. § 126-8.4. (See note on condition precedent) No sick leave taken for absences by State employees resulting from adverse reactions to vaccination. § 126-8.5. Discontinued service retirement allowance and severance wages for certain State employees. Article 3 - Local Discretion as to Local Government Employees. § 126-9. County or municipal employees may be made subject to rules adopted by local governing body. § 126-10. Personnel services to local governmental units. § 126-11. Local personnel system may be established; approval and monitoring; rules and regulations. Article 4 - Competitive Service. § 126-12. Governor and Council of State to determine competitive service. Article 5 - Political Activity of Employees. § 126-14.1. Threat to obtain political contribution or support. § 126-14.2. Political hirings limited. § 126-14.3. Open and fair competition. § 126-14.4: Repealed by Session Laws 2013-382, s. 7.6, effective August 21, 2013. § 126-15. Disciplinary action for violation of Article. § 126-15.1: Repealed by Session Laws 2013-382, s. 3.2, effective August 21, 2013. Article 6 - Equal Employment and Compensation Opportunity; Assisting in Obtaining State Employment. § 126-16. Equal opportunity for employment and compensation by State departments and agencies and local political subdivisions. § 126-16.1. Equal employment opportunity training. § 126-17. Retaliation by State departments and agencies and local political subdivisions. § 126-18. Compensation for assisting person in obtaining State employment barred; exception. § 126-19. Equal employment opportunity plans; reports; maintenance of services by Director of the Office of State Human Resources. § 126-20. Reserved for future codification purposes. § 126-21. Reserved for future codification purposes. Article 7 - The Privacy of State Employee Personnel Records. § 126-22. Personnel files not subject to inspection under § 132-6. § 126-23. Certain records to be kept by State agencies open to inspection. § 126-24. Confidential information in personnel files; access to such information. § 126-25. Remedies of employee objecting to material in file. § 126-26. Rules and regulations. § 126-27. Penalty for permitting access to confidential file by unauthorized person. § 126-28. Penalty for examining, copying, etc., confidential file without authority. § 126-29. Access to material in file for agency hearing. § 126-30. Fraudulent disclosure and willful nondisclosure on application for State employment; penalties. § 126-31. Reserved for future codification purposes. § 126-32. Reserved for future codification purposes. § 126-33. Reserved for future codification purposes. Article 8 - Employee Appeals of Grievances and Disciplinary Action. § 126-34: Repealed by Session Laws 2013-382, s. 6.1, effective August 21, 2013, and applicable to grievances filed on or after that date. § 126-34.02. Grievance appeal process; grounds. § 126-34.1: Repealed by Session Laws 2013-382, s. 6.1, effective August 21, 2013, and applicable to grievances filed on or after that date. § 126-34.2. Alternative dispute resolution. § 126-34.3. Judicial review of fee awards. § 126-35. Just cause; disciplinary actions for State employees. §§ 126-36 through 126-41: Repealed by Session Laws 2013-382, s. 6.1, effective August 21, 2013, and applicable to grievances filed on or after that date. § 126-42. Reserved for future codification purposes. Article 9 - The Administrative Procedure Act and Modifications. §§ 126-43 through 126-44: Repealed by Session Laws 1987, c. 320, s. 9. §126-45: Repealed by Session Laws 1977, c. 866, s. 18. §§ 126-46 through 126-50. Reserved for future codification purposes. Article 10 - Interchange of Governmental Employees. § 126-53. Authority to interchange employees. § 126-54. Status of employees of sending agency. § 126-55. Travel expenses of employees from this State. § 126-56. Status of employees of other governments. § 126-57. Travel expenses of employees of other governments. §§ 126-59 through 126-63. Reserved for future codification purposes. Article 11 - Governor's Commission on Governmental Productivity. §§ 126-64 through 126-73: Repealed by Session Laws 1985, c. 479, s. 153(a). Article 12 - Work Options Program for State Employees. § 126-74. Work Options Program established. § 126-75. Work options for State employees. § 126-76. Promoting Work Options Program. § 126-77. Authority of agencies to participate. § 126-79: Repealed by Session Laws 2013-382, s. 7.7, effective August 21, 2013. Article 13 - Veteran's Preference. § 126-80. Declaration of policy. § 126-82. State Human Resources Commission to provide for preference. Article 14 - Protection for Reporting Improper Government Activities. § 126-86. Civil actions for injunctive relief or other remedies. § 126-88. Notice of employee protections and obligations. § 126-89: Reserved for future codification purposes. Article 15 - Communications With Members of the General Assembly. § 126-90. Communications with members of the General Assembly. § 126-91: Reserved for future codification purposes. § 126-92: Reserved for future codification purposes. § 126-93: Reserved for future codification purposes. § 126-94: Reserved for future codification purposes. Article 16 - Flexible Compensation Plan. § 126-95. Flexible compensation plan. § 126-96: Reserved for future codification purposes. § 126-97: Reserved for future codification purposes. § 126-98: Reserved for future codification purposes. § 126-99: Reserved for future codification purposes.